For use with any belt, any webbing and practically any size guy. 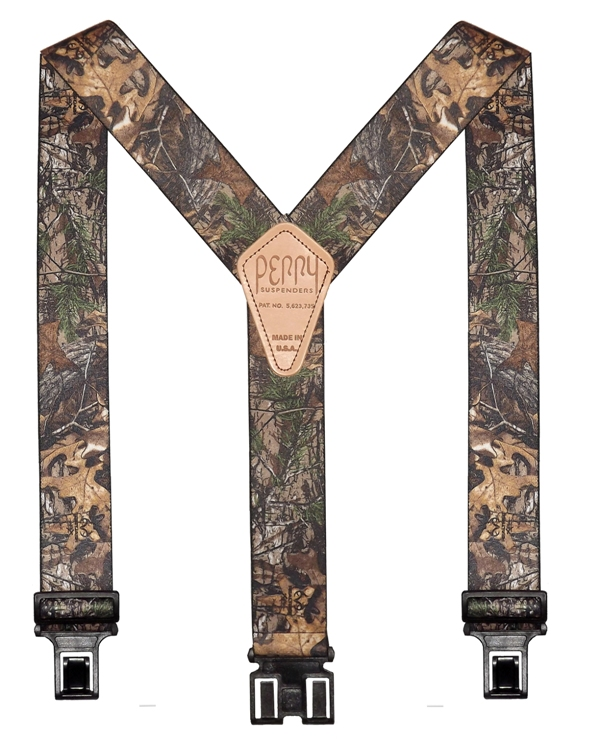 These big/tall 54" long suspenders render the usual obsolete. Rather than buttons or clips, they use a patented hook that works with any belt, tool belt, fanny pack (like ours) or Sam Brown rig you've got. 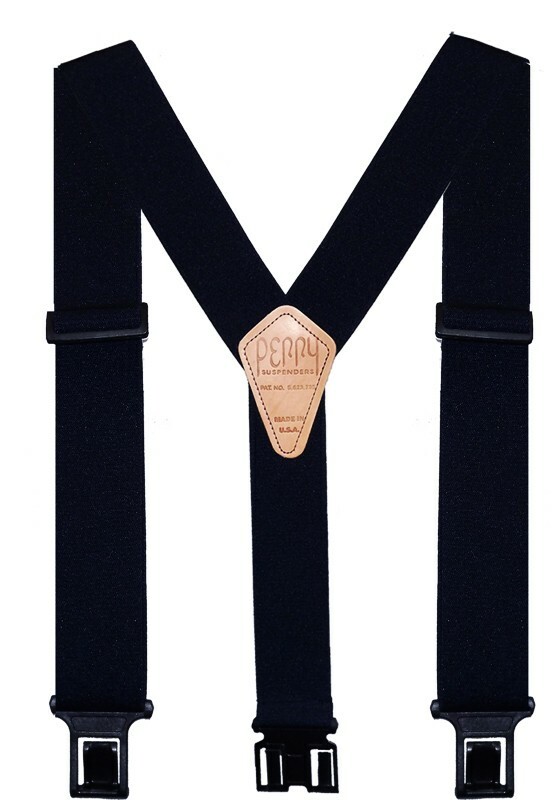 Easy on/off, adjustable around your waist where you need it, and prevent the pant waistband from flipping over. 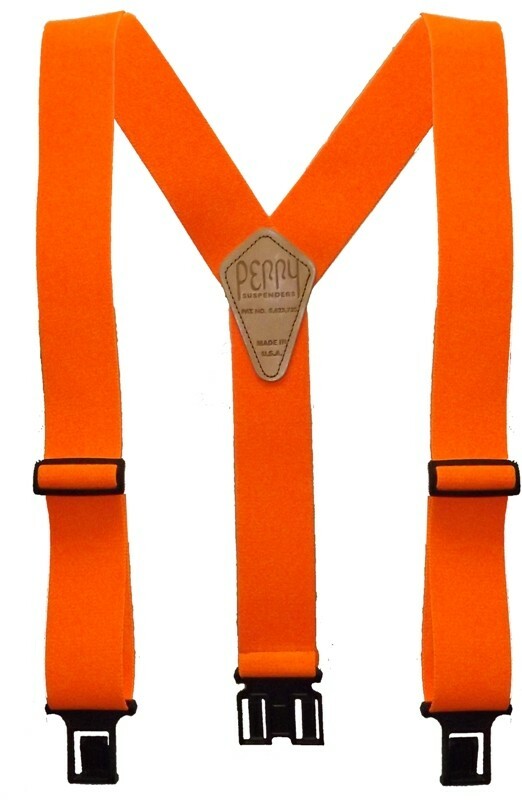 Tough elastic and hardened fittings for durabililty, but the clever design means they just might be the most comfortable suspenders you've ever worn. Or, they might be the first pair you're tempted to buy! We saw these guys at a trade show and had to have them. 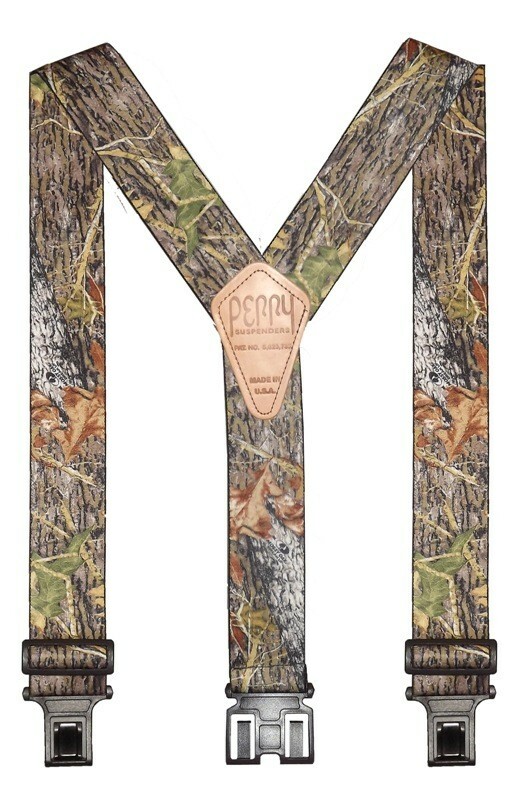 Available in Mossy Oak Break Up, Blaze Orange, or plain Black!